PROFS worked with faculty experts to develop bipartisan legislation that would change state statutes that regulate how the university contracts with companies in which faculty or other university employees have a financial interest. AB 758 passed the Assembly, but was not scheduled for a vote in the Senate. PROFS registered against AB 206, a bill that would restrict abortion-related activities of UW System and UW Hospitals and Clinics employees. This bill died in committee. PROFS registered in support of legislation that would restore language relating to tenure and shared governance to state statues, provisions that were removed as part of the 2015-17 state budget. These bills died in committee. PROFS registered agains SB 423, and monitored additional bills that would have limited the use of fetal tissue in scientific research. SB 422 received a public hearing but was never scheduled for a floor vote, the remaining bills died in committee. PROFS registered in support of this legislation that would eliminate several duplicative reports and allow graduate health science classes to start before September 1. These bills died in committee. PROFS President Dorothy Farrar Edwards and Legislative Representative Jack O’Meara traveled to Washington, DC last month as part of the Wisconsin Alumni Association’s UW-Madison Day. They met with members of the Wisconsin Congressional Delegation including Senator Tammy Baldwin and Congressmen Mark Pocan and Glenn Grothman, and staff from the offices of House Speaker Paul Ryan and Senator Ron Johnson. 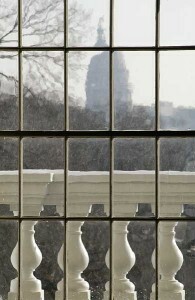 “Mark Cook Bills” to Assist Faculty Entrepreneurship, Assembly Bill 758 and Senate Bill 671 Directed by faculty experts, PROFS worked with a bipartisan group of legislators to introduce legislation related to University of Wisconsin research contracts. The faculty group, led by the late Mark Cook (Animal Science), identified the need to change state statutes that regulate how the university contracts with companies in which faculty or other university employees have a financial interest. Both bills have passed through committee and PROFS expects them to be scheduled for a floor vote sometime this month. Bills Limiting Scientific Research, Assembly Bills 83 & 549 and Senate Bills 422 & 423 PROFS is carefully monitoring two bills that would limit the use of fetal tissue in scientific research and is registered against Senate Bill 423. Our statement is on the PROFS website and Facebook page. 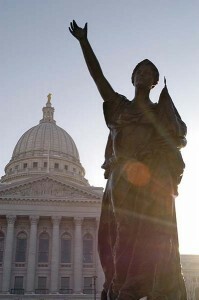 Bill Limiting University of Wisconsin OB/GYN Training, Assembly Bill 206 PROFS is also registered against AB 206, a bill that would restrict abortion-related activities of UW System and UW Hospitals and Clinics employees. UW School of Medicine and Public Health Dean Robert Golden testified in July the bill would seriously hamper student training in obstetrics and gynecology and could possibly jeopardize the medical school’s accreditation. Campus Carry Supporters of campus carry have said they intend to introduce legislation allowing concealed weapons on campus, but nothing has been introduced to date. PROFS is opposed to campus carry and continues to carefully monitor the issue. PROFS is cosponsoring a La Follette School of Public Affairs seminar on the history of the Wisconsin Retirement System at 12:30 pm on Wednesday, February 21 in Union South. Wisconsin’s pension system is regarded as one of the best, and Gary Gates, the first secretary of the Department of Employee Trust Funds, will explain how the system was created and why Wisconsin has not experienced shortfalls like many other states. The Wisconsin Spring Primary is Tuesday, February 20. The only statewide race on the ballot is for Wisconsin Supreme Court where three candidates are vying for two spots on the April 3 general election ballot. More information on voting in Wisconsin is here. PROFS Steering Committee member Judith Burstyn recently met with Congressman Mark Pocan as a member of his Higher Education Advisory Group. Pocan gave the group an update on Congressional action related to higher-education policy and federally funded research. PROFS President Dorothy Farrar Edwards and Chair Anja Wanner sent a letter yesterday to State Representative Robin Vos (R-Rochester) and State Senator Roger Roth (R-Appleton), co-chairs of the Legislature’s Joint Committee on Employment Relations (JCOER), encouraging them to schedule a meeting to approve UW-Madison’s proposed faculty and staff pay plan. Last week, UW-Madison announced a 4 percent pay plan for faculty staff to be given in two installments — 2 percent in July 2018 and 2 percent in January 2019 — but the funding for the plan must first be approved by JCOER. PROFS shared the following testimony today, November 2, at the Senate Committee on Judiciary and Public Safety. University of Wisconsin-Madison Population Health Sciences professor and PROFS Steering Committee member Dave Vanness recently spoke with WISN’s Mike Gousha about Assembly Bill 299 (Campus Free Speech Act). PROFS is registered against the bill. 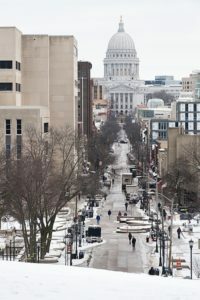 PROFS is registered against Assembly Bill 299, legislation that would require the University of Wisconsin System Board of Regents to adopt a policy on free expression on all two and four-year campuses. This new policy would supersede any previous Regent rules or individual campus policies. The Assembly Colleges and Universities Committee is scheduled to vote on an amended version of AB 299 at 1:30 pm, Tuesday, May 30. In 2010, the UW-Madison Faculty Senate amended its Faculty Policies and Procedures to provide “principled protection for faculty engaged in speech pursuant to their official duties.” The amendment (below) also provided a definition of academic freedom. 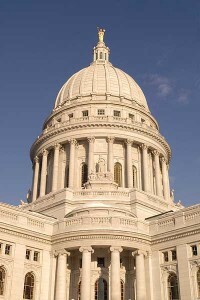 The following Legislative Fiscal Bureau papers were released Wednesday, January 25.